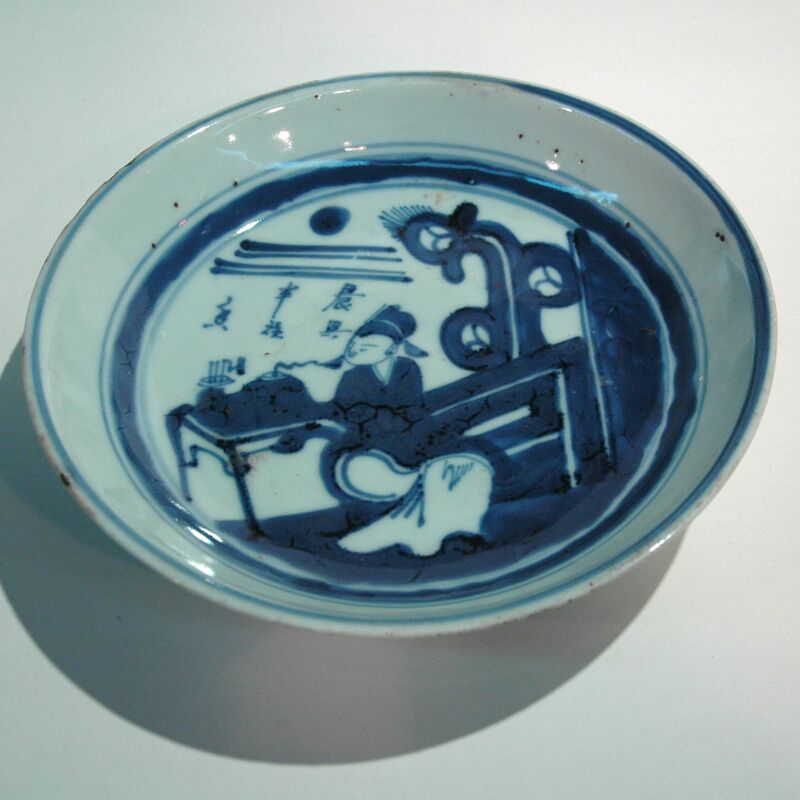 This is design of the scholar and the incense is a popular design of the De Hua pottery town, a town that has been making pottery since the Ming dynasty. Probably because it is situated close to the coast, by Qing dynasty their work are made mainly for export. The same design has also been recovered from the treasure of the Tek Sing shipwreck.